View the full list of vendors and where they are located on our online interactive map. You can also download a printable version of the floor plan by clicking the download button below. We recommend you do this as close to the show as possible since this may change often before the show date. 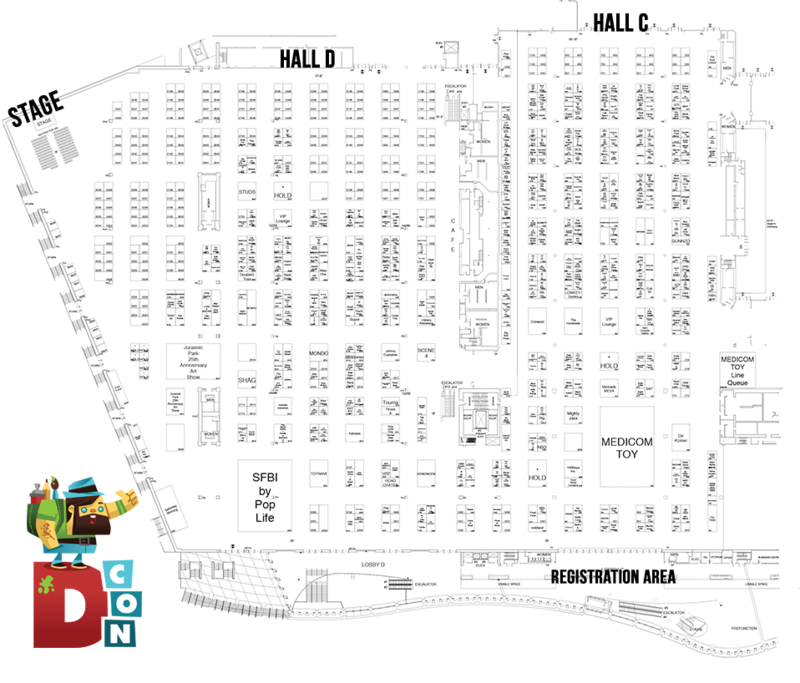 Many of our vendors bring exclusive products to DesignerCon that you can only purchase while supplies last during the duration of the show. Don’t miss out and make sure to check out the list of exclusives that will be available this year. Come to DesignerCon prepared. We wanted to share a few important notes while you’re exploring the vendors which will be at the show this year. Make sure to bring any supplies you may need just in case. We recommend sketchbooks, notepads, pens, sharpies and anything else that you or an artist may need to use. Don’t forget to bring your tickets printed out and if you find it necessary bring a print-out of the vendor list with the vendors that you don’t want to miss. If looking for the panels or special performances you will find them located in Hall D on the stage area. You can check the schedule for a complete list of panels.